Clicking submit will submit your full profile to TurnKey Vacation Rentals. 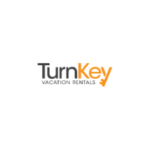 TurnKey Vacation Rentals (TurnKeyVR.com) is a leading, technology-enabled vacation rental management company started by former HomeAway/VRBO and Hotwire executives. We are based in Austin,TX and we manage over 2,300 properties in 50+ markets including Austin, Lake Tahoe, Port Aransas, Palm Springs, and Santa Barbara. We are growing rapidly and our goal is to become the largest firm nationally by offering homeowners advanced vacation rental management services, with higher revenues at lower cost. We are looking for an entrepreneurial, hard-working, consultative sales executive who is interested in building the TurnKey business in Cocoa Beach, FL. The Sales Director/GM will lead new owner sales growth in the market. The primary duties will be growing the number of TurnKey’s properties under management using a consultative sales approach and fostering inbound leads via local networking. This is a great opportunity for an analytical sales person who is motivated by the prospect of building a relatively new market through a combination of headquarters-supported lead generation efforts and their own business development efforts. The Sales Director/GM has to be well organized and have a great work ethic. This position reports to the VP of Sales in Austin and will be based in the Cocoa Beach, FL area working from home. We offer competitive salaries and bonuses (commensurate with skills and experience) as well as stock options in our high-growth technology company. Lead the overall growth of TurnKey’s business in the Cocoa Beach, FL market with the goal of building TurnKey into the largest and most respected vacation rental management firm in the area. Recruit homeowners and properties into the TurnKey program with consultative selling. Drive business development activities that supplement Austin-based marketing and lead generation efforts to build a consistent and growing opportunity pipeline, such as cold calling, email marketing, mail campaigns, and local networking. Maintain homeowner and property information as well as sales activity accurately in sales management system (CRM) and report on sales performance data including key performance criteria as identified by Executive Team. Learn TurnKey’s systems, pitch and processes in order to communicate relevant information to potential customers and to local and national operations teams when needed (i.e. Salesforce.com, property management systems, etc). Lead local operations and account management teams, and occasionally take on tasks when needed to ensure positive guest and owner experiences. A minimum of three years of consultative outside sales experience. Proven track record of consultative sales success. Some inside sales experience is a plus. General knowledge and understanding of the Cocoa Beach, FL market (events, seasons, neighborhoods, services, connections with homeowners, etc) a strong plus. Experience in the vacation rental industry, real estate development sales, hospitality, travel or SAAS sales is a strong plus. Motivation to work with a small, entrepreneurial team in a fast growing company. Self-motivated, problem-solving, hard-working individual style to establish and achieve specific goals in a dynamic start-up environment with changing product and little oversight. Experience with sales management systems (ideally Salesforce.com), general online technology savvy and proficiency with MS Office and related software.